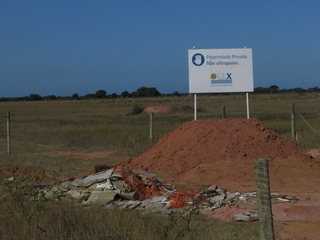 Industrial Complex Porto Açu, to the north of Rio de Janeiro State, directly impacts 5.000 people and imposes degradation in an area of environmental protection to the benefit of iron ore exports. Industrial Complex Porto Açu is localized in the North of Rio de Janeiro State. Also knowed as the 'Super Port', it has capacity for the largest ships in the world and boasts an unual nickname: Highway to China, as most of the products, mainly raw materials, will be exported to the Asian country. The project was started by the company Logistic LLX, part of EBX Group, owned by the entrepreneur Eike Batista. Since 2013, the majority of the Port is controled by Prumo Logística S.A., a subsidiary from the the group Global Energy Partners - EIG. 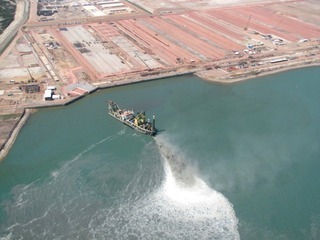 Under construction since October 2007 and covering an area of 90 km², the project comprises an offshore terminal (Terminal 1, or T1) and an onshore terminal (Terminal 2, or T2). 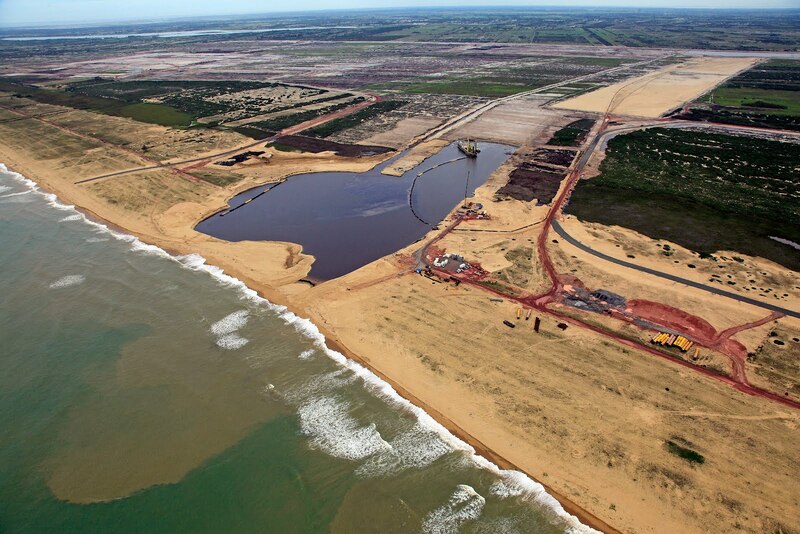 The Açu Port is connected with an iron ore pipeline of 525 km of extension, that starts in the city of Conceiçao do Mato Dentro, in Minas Gerais, where there is a mine project owned by Anglo American company. The entire system is called Minas-Rio. The area in Rio where the Açu Industrial Complex is localized, São João da Barra, has 32 thousand inhabitants. The Port is concentrated in the 5th District (Pipeiras), where more than 70% of the people used to develop activities based on family farming and artisanal fishery. To allow the construction of the Açu Port, the State of Rio de Janeiro, in partnership with the municipality of São João da Barra, signed two decree-laws. One of them was to expropriate the area. The second one was to turn it into an area of public interest. Suddenly, the 5th district went from a rural area responsible for food production for various cities, including the capital of Rio de Janeiro, to an industrial district. 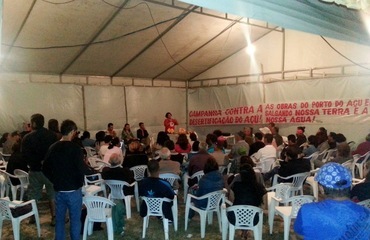 Farmers and fishermen engaged in food production of important items (pineapple, banana, sweet potato, manioc, sugar cane, tomato, orange, okra, gherkin, fish, to mention some) meeting the demands of nearby cities, besides other products for the rural families' subsistence, hence being indispensable for food sovereignty. More than 500 farmers were evicted and there are lots of cases of strong pressure from the company. Some of this people were relocated in an area called "Vila da Terra", where the conditions are not the same for fishermen and the area for the farmers is very small. The estimate is that 26.5 million tons of concentrated iron ore will go through de Port per year to supply the foreign market. However, there are Anglo American company's estimates that points an "expansion potencial" of 80 million tons per year. Since 2008, the local community denounces huge social and environmental impacts the project would cause and the lack of public consultation. 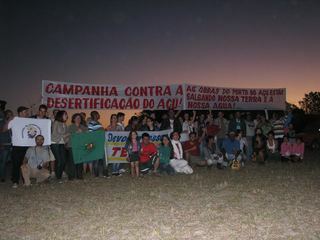 Since then, family farmers, fisherman and other inhabitants who live in the area for generations have been doing different kinds of protests, showing that at least 33 rural communities and small urban centres between São João da Barra and Campos dos Goytacazes would be impacted, which means about 5 thousand people. 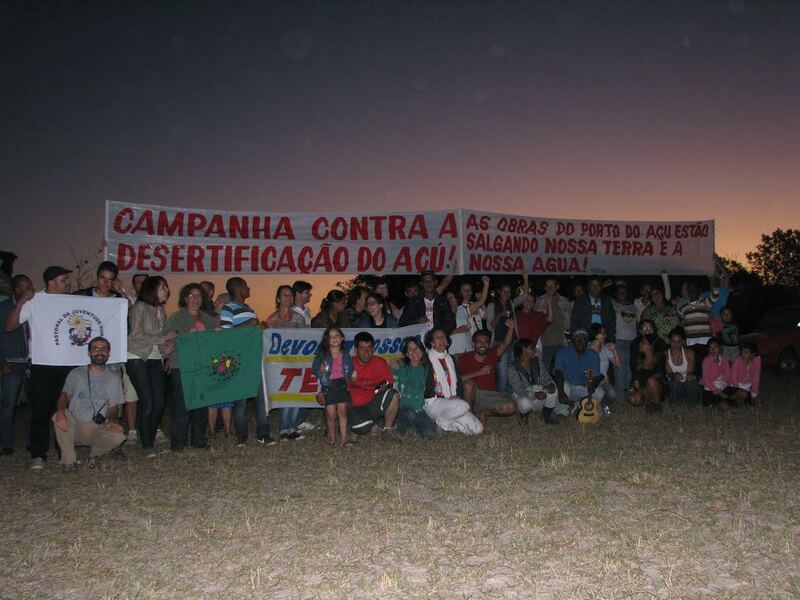 In 2009, some of them funded the Association of Rural Producers and Real Estate (Associaçao dos Produtores Rurais e Imóveis - Asprim), a social organization that since 2009 has defended the interests of farmers affected by the Port of Açu. They have tried different ways to claim for their rights, blocking the works of the Industrial Complex, the main road that gives access to the Port, and trying many ways to force the executive branch of State and the Judiciary to act. Supporting and working together with the community from 5th District, there are researchers from different public universities in Rio de Janeiro and Minas Gerais and NGOs. Together, they have published a Dossier about the case and started judiciary processes to stop forced evictions, inapropriate relations between the State and the private actors involved and irregularities in the fragmented environmental licensing process. Some alternative media were also part of the network, with the aim of confronting dominant narratives about the project. Some researches and testimonials of the farmers and fishermen already evidence salinization of water and degradation of the sandbank area, considered special environment protection bioma. Access to the ocean and lagoons are also limited by the Industrial Complex Porto Açu, as it covers 60% of its accesses and the costal area. There is no transparency about how many families were evicted so far, but the company recognizes that about 30% are still waiting for compensation, after being displaced. The Port complex covers and area of 90 km², comprising an offshore terminal (Terminal 1) and an onshore terminal (Terminal 2). It is connected with an iron ore pipeline of 525 km of extension. Development of Alternatives Obligation of public consultations. Why? Explain briefly. In the matter of the project itself, Porto Açu case is not a succcess. Although there were so many effort by the community, researchers and activists, it continues to operate without big modifications, activists report several threats and thousands of people were displaced. There is no transparency by the governments so far. However, taking into account the mobilization, creation of an association to fight for the rights of farmers and fishermen and other kinds of community-based organization and knowledge development, Porto Açu is a very important case of resistance. Rio nega licença para térmica a carvão no Porto do Açu. DENISE LUNA.15/10/2013 . Folha de Sao Paulo. Other Comments A controversial 2100 MW coal fired power station was foreseen by Eike Batista but it was discarded in favour of one of natural gas. (Folha de Sao Paulo, 15 Oct. 2013). Contributor Camila Nobrega, Free University of Berlin.